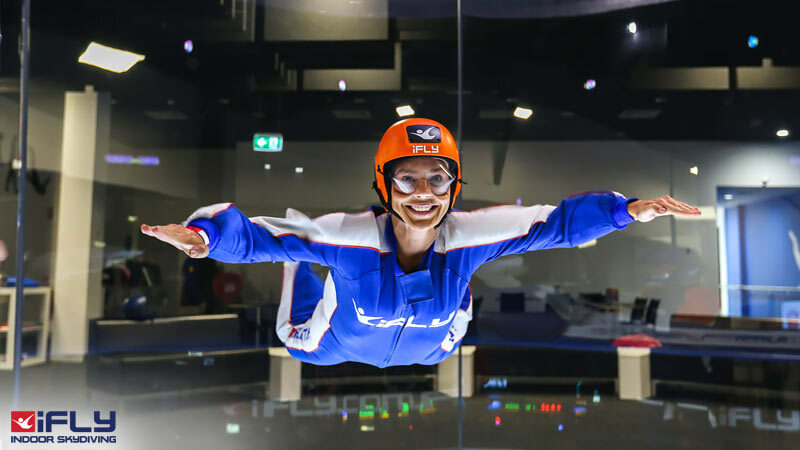 Indoor Skydiving Sydney, iFLY Intro Package (2 Flights) - NOW FLYING! Experience the same adrenaline rush as freefall skydiving with safe and realistic Indoor Skydiving! Includes 2 x flights for one person in the tunnel (each flight equivalent to a 14,000ft skydive). GET IN EARLY - NOW FLYING! 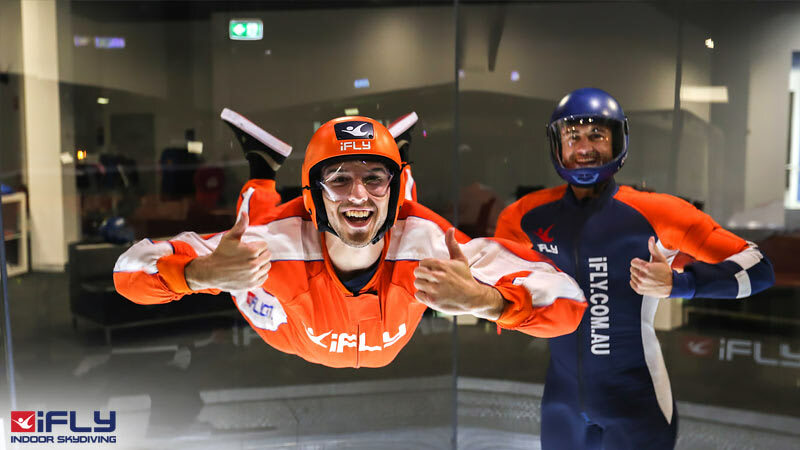 Check out the amazing Indoor Skydiving video. 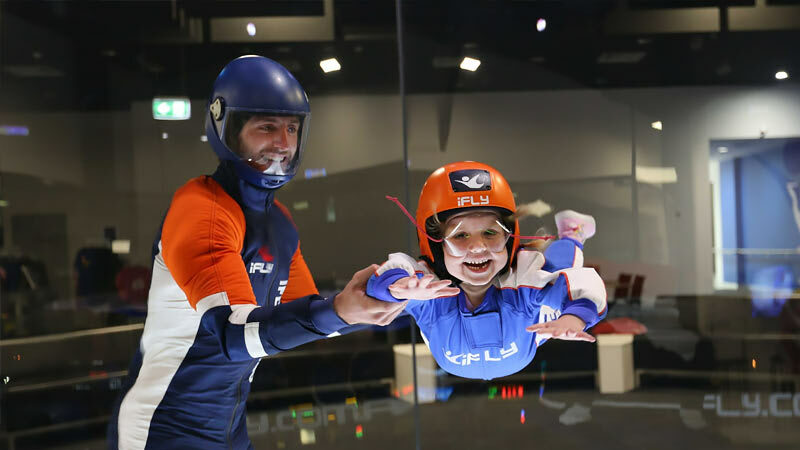 Go Indoor Skydiving in Sydney! When you skydive indoors you can twist and turn, spin and enjoy all kinds of fun, without the months and months of training involved with outdoor skydiving. AND your family and friends can watch all the action from an all-glass viewing platform just a few feet away! Powered by multiple fans located at the top of the flight chamber, the vertical wind tunnel produces a wall-to-wall air flow that is indistinguishable from freefalling during a 14,000ft skydive. Professional instructors assist you to make the most of the air flow so you can truly experience the closest thing to human flight. Afraid of heights? 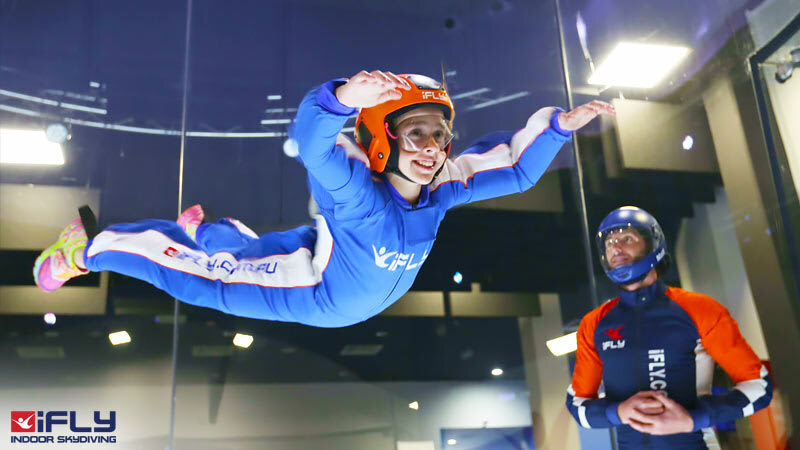 With Indoor Skydiving you get all the fun without the fear. 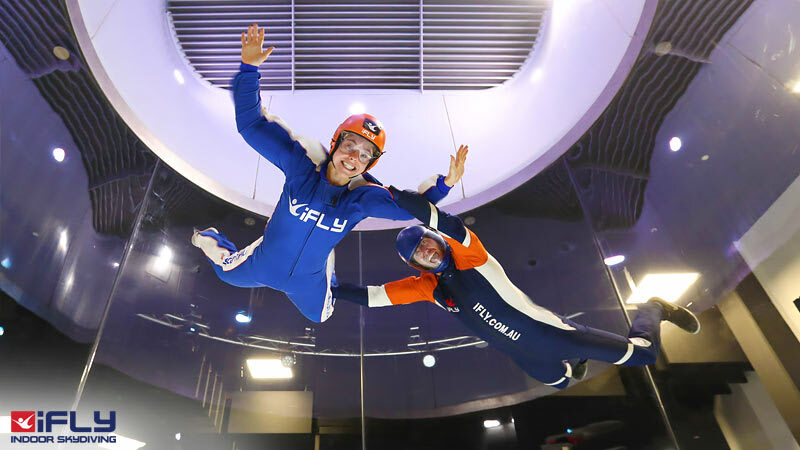 In fact indoor skydiving is a great way to "test" skydiving before committing 100% and jumping on that plane! The sensation is rather like putting your hand out of a car window when it's moving! You will feel a cushion lifting you effortlessly until you are floating mid-air. The air flow won't affect your breathing. 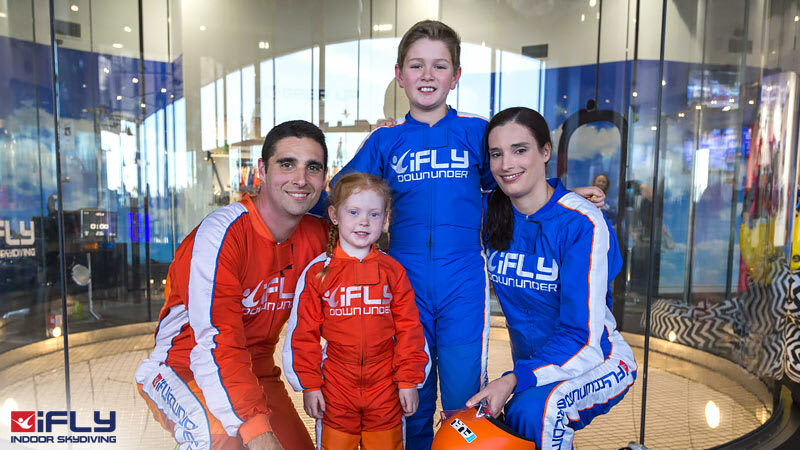 Expert instructors guide you into the wind tunnel, stand next to you and are in constant communication with you throughout your indoor skydive experience. It is a large horizontal glass tunnel with powerful electric fans at the top. When these operate, air is drawn up through the tunnel, creating a cushion of air that you can fly on, replicating the sensation of a skydive freefall. The amount of airflow in the flight chamber is precisely controlled by a skilled technician to ensure that it matches the experience level of those in the tunnel. Great Day. Kids loved it. Great experience!! Highly recommend the team and facilities at iFly. Great night out!! I loved the experience! I want a wind tunnel in my home so I can fly from room to room :) Our facilitator Mark was extremely friendly, helpful and a great teacher making it easy to learn. Everyone seems to really love their job which makes the experience even more enjoyable. A great day! Staff were very professional and helpful. A good briefing beforehand and a great time "flying"! What a wonderful experience we ha with the indoor skydiving. It totally met our expectations plus more. We will definitely be back!